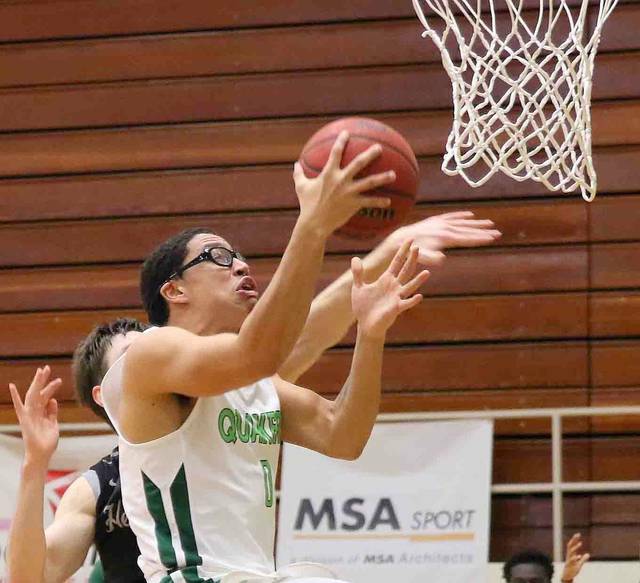 WILMINGTON – With the bench scoring 54 points, the Wilmington College men’s basketball team edged Heidelberg 75-72 Saturday afternoon at Hermann Court’s Fred Raizk Arena. The Ohio Athletic Conference win gives the Fightin’ Quakers a series sweep of the Student Princes including their third consecutive win between the two squads. Heidelberg shot a better percentage from the field (41.5 to 39.1) as well as making two more baskets. Both teams made 11 free throws, but Wilmington’s 14-7 edge in three-pointers proved to be the difference. Individually, Will Patrick came off the bench and scored a season-high 20 points including a career-best 6-of-8 from three-point land. 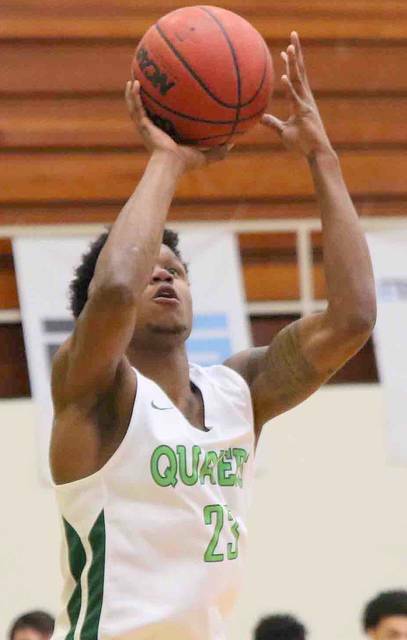 Jeffery Mansfield, another sub, added 14 points while Andrew Russell scored 11 in a reserve role to go along with seven rebounds. All five Wilmington starters were held in single digits. 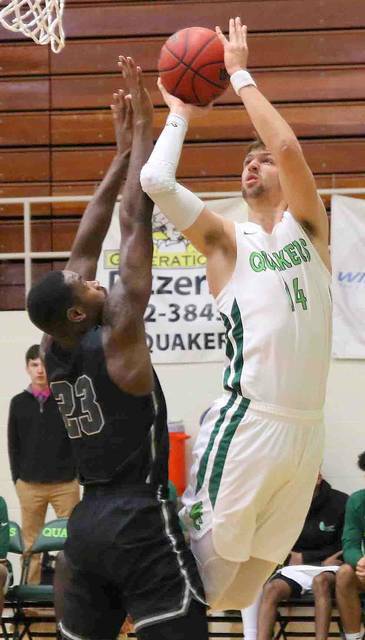 Wilmington (12-6, 8-4 OAC) hosts Otterbein University 7 p.m. Wednesday. 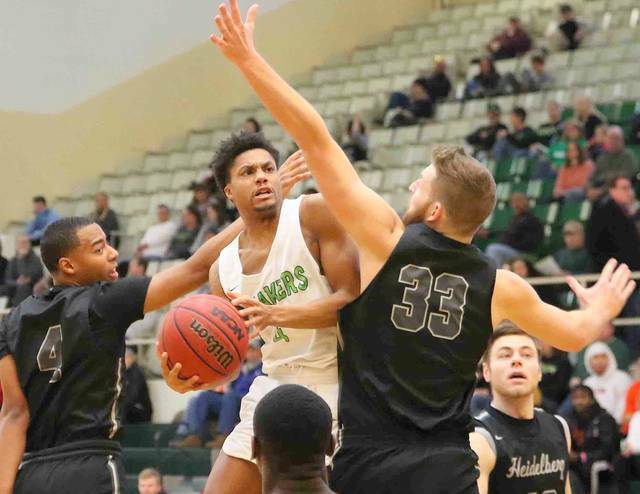 Wilmington, which went to its bench early due to foul trouble, built a 22-12 lead at the 11:05 mark of the first half the four three-pointers including three from Patrick forcing Heidelberg to take a timeout. 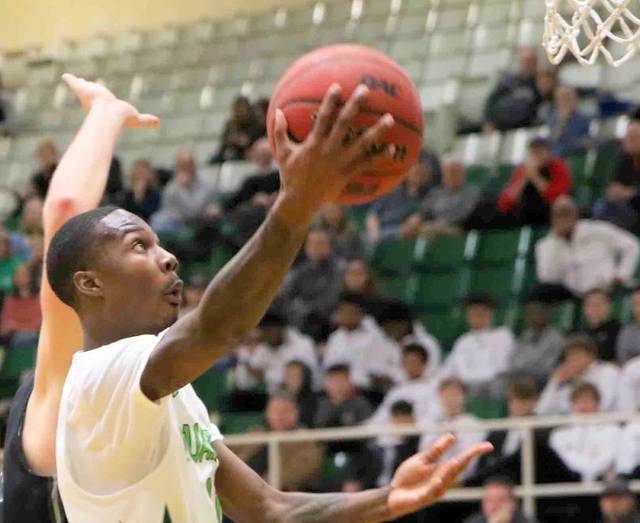 The Student Princes battled to within 26-24 but three-pointers from Aaron Mullins and Patrick pushed Wilmington’s advantage back to double digits, 41-31, with 1:48 to go in the half. Trailing 44-35 at halftime, Heidelberg eventually took a 57-56 lead on a Myron Prewitt basket midway through the second half. Neither team led by more than a basket until a Russell triple put WC ahead by four with 3:17 to go. 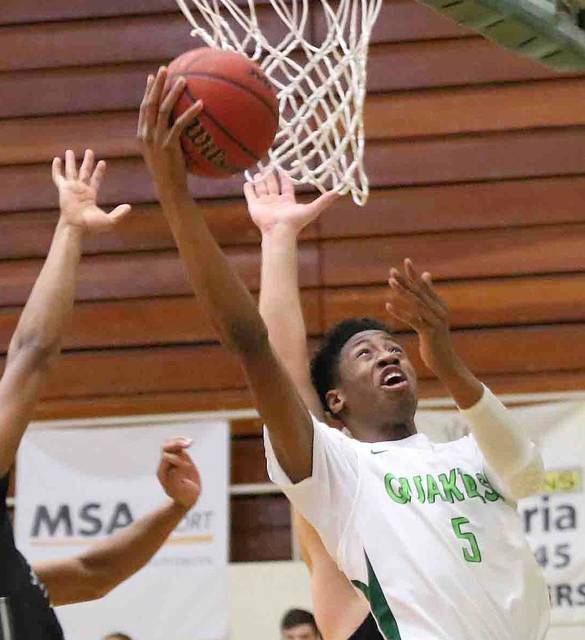 After a Heidelberg three, DaeShawn Jackson, who scored just four points in the game, stretched Wilmington’s lead to three with a minute to play. As he has several times this season, Mansfield came up with a critical defensive play, stealing a Heidelberg pass and was fouled in transition. 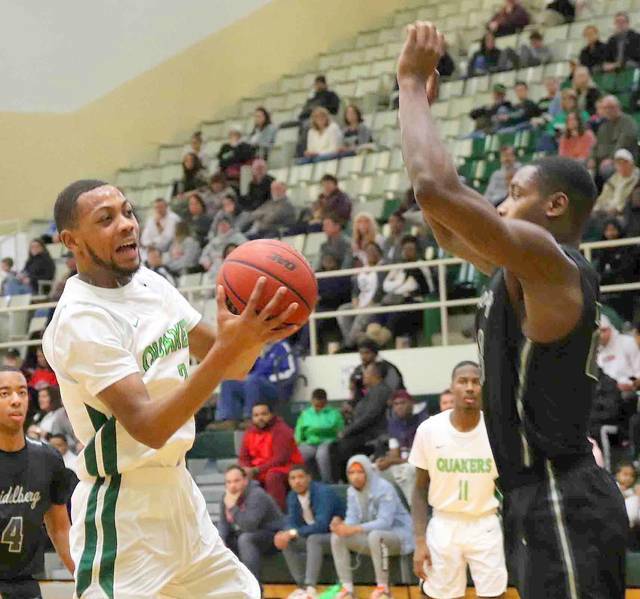 The Wilmington High School alumnus made both free throws to put the Quakers ahead 75-70. The Student Princes quickly answered with a basket and were forced to foul down by three. After two missed free throws from Wilmington, Heidelberg had two chances to tie the game in the final seconds, but both tries were off target.